A strategic consulting firm with offices in USA and China has a venture capital arm that invests in life sciences. Alongside investments, the firm advises life science companies on strategic partnerships (manufacturers, distributors) in the Asian market by providing resources in the network. In addition to a $10M fund closed at the end of 2016, the firm has a new ¥1 billion RMB (approx. $150M US dollar equivalent) fund which invests majorly in China local healthcare companies or helps the companies outside of China grow well in Asia market. The firm is seeking five new investments within the next year, and typically makes $1M – $5M dollar investments per company in Series B and C rounds. The firm focuses on the startups in U.S., China, Canada, and Europe based companies, though is open to companies on a global-level. The firm is indication agnostic and open to technology in all sectors of life science (medical devices, therapeutics, diagnostics, and digital health) while having the most experience in biotech/medtech. In terms of phase of development, the firm requires the company to at least have a prototype, and for therapeutics to be in clinical trials, preferably after Phase 2. The firm will also look at on-the-market products of medical device, lab equipment and drug development enabling technology. The firm requires the company to be in Series A, B, or C. The firm prefers the company to have or seek to have their technology or products in Asia market. Life Science Nation invites all eligible early stage life science companies to apply to Innovation Challenge to showcase their technologies. Companies from all categories of life science are encouraged to apply to Innovation Challenge for RESI Healthtech Week. Eligible companies can apply to Day 1, the First Coast Innovator’s Gathering, Day 2 RESI Global Partnering or both. Applicants will have the opportunity for excellent visibility among investors and strategic partners. LSN is now accepting applications! The deadline is July 27, 2018. For the first time this fall, Life Science Nation will have two days of Innovation Challenge competition as part of the RESI Healthtech Week (September 5-7, 2018). The Innovation Challenge offers selected companies the chance to gain more visibility from the early-stage investors in attendance. It is FREE to apply, click here. Attendance on Day 1 for companies is $300, click here. The first half of 2018 has brought to the surface many debated topics not only for the United States but also the world—universal healthcare, innovation, and leadership. This year, headlines continue to arise almost daily detailing reforms to the healthcare system, while other countries continue to make advances in their universal healthcare programs. One of the biggest corporations in the world, Amazon, is accelerating their involvement in the healthcare industry with big-name partnerships, leadership appointments, and strategic acquisitions. They’ve also recently purchased office space in Boston, MA, one of the biggest life science hubs in the world—where Life Science Nation (LSN) began its focus on helping early-stage life science companies seeking capital. 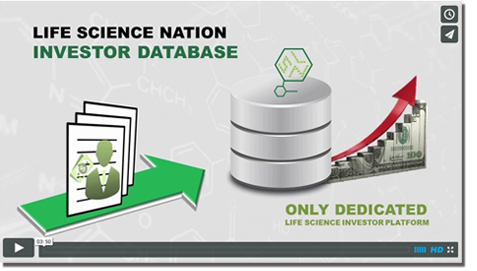 Life Science Nation was founded with the intention to move life science innovation forward for a real impact on the global development of healthcare, which has only become more urgent. Throughout LSN’s experience supporting life science companies, lack of access to capital is holding back the advancement of many life science companies. LSN dedicates itself to helping early-stage companies navigate the funding ‘Valley of Death’, which is why LSN created a new three-day event called RESI Healthtech Week. Today, LSN will discuss the benefit of attending Day 1, the First Coast Innovator’s Gathering, for tech hubs across the northeast with technologies or companies looking to change the future of healthcare. What is the First Coast? The First Coast, as LSN has deemed it, is the location identified as the premier hub for life science innovation, similar to how Silicon Valley is viewed as the premier (and original) tech hub. Over the years the First, Second, and Third Coast have been identified as hubs across the country made up of different states including Houston and New York City. All have been vying to be central locations for massive innovation in the life sciences. However, Life Science Nation takes the First Coast to include the entire northeast corridor, from DC to MA, including all the premier universities and research institutions in the region. RESI Healthtech Week’s new First Coast Innovator’s Gathering is focused on expanding the traditional Redefining Early Stage Investments (RESI) Conference to include more nascent technologies and companies in the life science space. By bringing together innovators from the entire northeast corridor with global investors and strategic partners, LSN promotes a one-of-a-kind opportunity for the advancement of healthcare innovation. Who are the best-fit attendees? Day 1 will feature the next generation of healthcare innovation and their earliest stage companies from the northeast region: DC, MD, PA, NJ, NY, RI, CT, and MA—now known as First Coast, who are invited to participate in a day of partnering and networking. Qualifying First Coast Day 1 registrants are the northeast corridor incubators, accelerators, tech transfer offices, university translation initiatives, hospitals, research labs and their constituents as well as the investors and partners that seek them. Ideal candidates include those seeing funding anywhere from $15k to $2M from grants, seed, and angel funding. LSN created an affordable registration price that will facilitate more startups attending the three-day event. Tickets start at only $500 for tech hubs (includes two tickets) and $300 for each additional constituent member. The pricing structure and benefits are presented in the chart below. The conference will include ample opportunities for you to represent and showcase your technologies to global investors and strategic partners. This includes exhibiting, online features and placements, as well as a competition for a spot to pitch investors during the First Coast Innovation Challenge. The exhibit hall has limited space for one exhibit table per tech hub (as space allows). Each organization can have up to 5 poster boards for their table to showcase their tech hub members and constituents. In addition, all tech hubs will be featured in the RESI Healthtech Week Program Guide. Their technologies represented by their constituents and tech hub members will be featured on the newsletter and website with a datasheet. All qualifying First Coast registrants are eligible to apply for the First Coast Innovation Challenge where the top 5 finalists will give 10-minute pitches to an elite panel of investor judges from 3:00-5:00 during the First Coast Innovator’s Gathering. This will be a rewarding opportunity to pitch your technologies and receive valuable feedback. LSN’s network of early-stage global investors will be able to see all the key players in one place and learn about the innovative technologies coming out of the First Coast. A day of partnering and networking. Day 1 of the RESI Healthtech Week will feature the First Coast Innovator’s Gathering; partnering and networking opportunities, just like it’s traditional RESI. Review profiles of other RESI Conference participants. Schedule one-on-one and/or group meetings. Build your customized RESI Conference schedule, from panels to presentations to partnering meetings. The system will be available one month before and one month after the conference for ease of use. Launches August 6th for RESI Healthtech Week (September 5-6th) partnering. In addition to the Partnering Platform, attendees can also participate in ad hoc meetings at exhibit tables and poster boards throughout the day. The First Coast Innovator’s Gathering will take place at the Boston Marriott Copley Place, 110 Huntington Ave, Boston, MA 02116, on September 5th, 2018 followed by the traditional Redefining Early Stage Investments Conference on September 6th, and the Entrepreneur’s Academy Workshop Series on September 7th. Registration starts at 7 AM. Exhibit halls and meetings are available from 8 AM to 5 PM. Life Science Nation will continue to connect early-stage companies with global investors and strategic partners through RESI Conferences and first-in-class data platforms, in the hope that downstream we can help bring treatments to the patients that need them. As the landscape for healthcare and healthcare policy changes, so too will LSN in order to meet the needs of the early-stage players. We hope to see you in September. Sign up today.